Get prepared for Minsk public transport. It’s quite an adventure and definitely a top priority to get to know the country better. In Minsk, you will find different types of public transport: metro (two lines), buses, trolleybuses, trams, taxis, and minivans buses (called ‘marshrutka’). We are quite proud of our transportation as it runs on time, is clean, and best of all cheap! A lot of foreigners seem to notice, how mean and serious everyone looks when riding the metro. 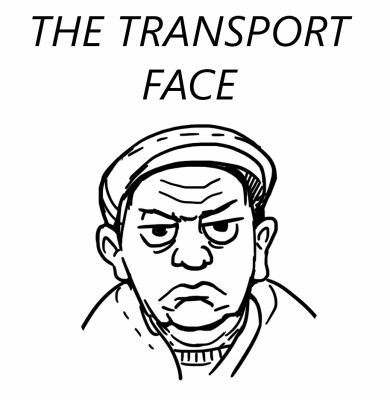 That is the Belarusian transport face! It’s actually relaxed and indifferent, not mean. It is designed to create a feeling of more personal space due to the lack thereof during rush hours. The face should read “I might be squeezed in here tightly, but there’s actually a whole kingdom around me and I am the king!” Practice at home in a mirror. Some historical facts: During the Soviet period there was an unwritten law that only a city with over 1 million residents could start building a metro. The city of Minsk did its best to attract people from villages and created favourable conditions for their resettlement. Finally, in 1972 the millionth Minsker was born and by 1984 the first eight metro stations were finished. Watch out for the crowd getting on a bus at the terminal stations or the first stop of the route. If this route is particularly long and popular, people are going to be scrambling to get on and grab a seat, sometimes even forgetting to let people out. After securing a seat with their behinds, the same person who just stampeded you on the way in might ask you to validate his pass, since she/he is already sitting, and you conveniently happen to be standing by the validator. – The metro is a real highlight. It is super fast, clean, and impressive. Locals love the metro and you will feel the love most during rush hours. The metro has 2 lines – a red and a blue, which will bring you pretty much everywhere in the city. Your metro ticket is a little red token that you buy for a single metro ride in Minsk. Inside every metro station you can buy these single way tokens for 0.65 BYN (around €0.30). This token makes a great souvenir: it is unique, it screams history with its worn out look, and you can probably use it as play money, or as a replacement coin for a shopping trolley. 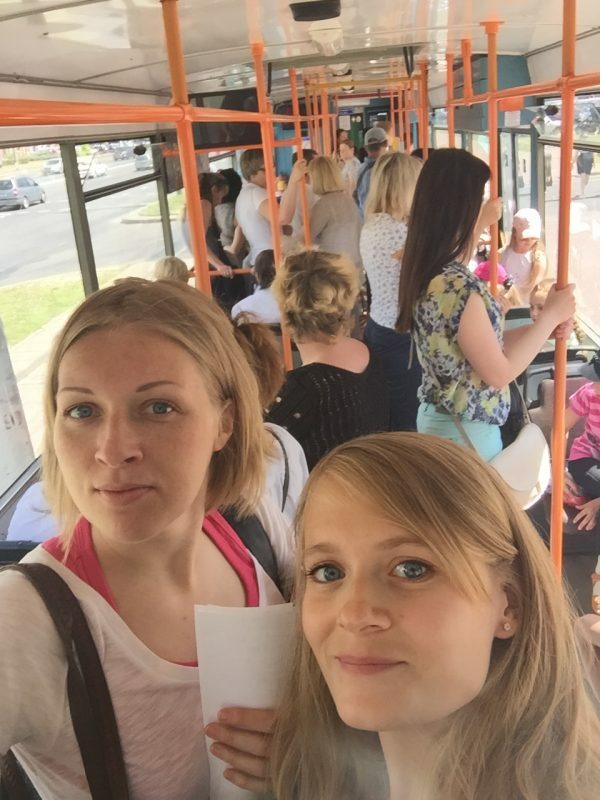 – Other Minsk public transport like the bus, tram, and trolleybus are also worth a ride. The tickets cost 0.60 BYN and you can purchase them from the driver or at a kiosk near a tram/bus station. You will need to validate this ticket inside via the yellow validator. ‘Marshrutka’ or minibus (purchase ticket from driver) is also pretty good and fast, but you should know where they stop as they don’t follow a particular route. So ask the driver before whether he stops at your stop. You can also choose to get yourself a smart card on which you upload a certain amount of rides which you can use for metro, bus, tram and trolleybus trips. This is especially handy for people that want to use public transportation quite often during their stay in Minsk. Don’t forget to check in by holding your card to the check in machine, there are regular controls and we cannot promise that the tourist excuse will work for not getting a €6 fine, which you have to pay on the spot. – buy any number of rides (from 10 to 100) for metro OR for bus/tram/trolleybus. The best way to get a taxi is to order it by phone. The only problem is that dispatchers as well as drivers usually do not speak English. There are different companies that offer services from standard to VIP. Here are the taxi numbers we usually use: 135, 7788, 157. The average price is €3-4 for 8-10 km. You can always check the tariff on the taxi’s service websites. It is the law to turn on a counter before the trip starts and give a receipt at the end. You can catch a taxi but again make sure that a driver turns his or her counter on and make sure you negotiate the price in advance. Tipping taxi drivers is not customary or expected. Uber also works in Minsk and you pay around €5 for a ride from one end of the city to another. How to Prepare Your Trip to Belarus?